The first verse was deployed to the tune of “Frere Jacques.” The second he punctuated with a merry grin, one hand splayed in the air as if he had just drained a three-pointer at the buzzer in a teen sports movie from 1986. Then he dipped his hot dog in his “bar-de-coo” sauce and demolished dinner. He was delightfully oblivious to the fact that his mom and I were watching him, stone-faced, forks held mid-chomp, as if he had just informed us that he’d been working on a unified theory of physics and would soon be leaving to return to his home planet of Flthhhpbt. Here’s what we did about it. ARTIST’S RENDERING. The actual cast was purple. The letter confused me, and I spent some time mulling it while I sipped my applesauce. Here’s what happened. I’ve come to this conclusion for these reasons. 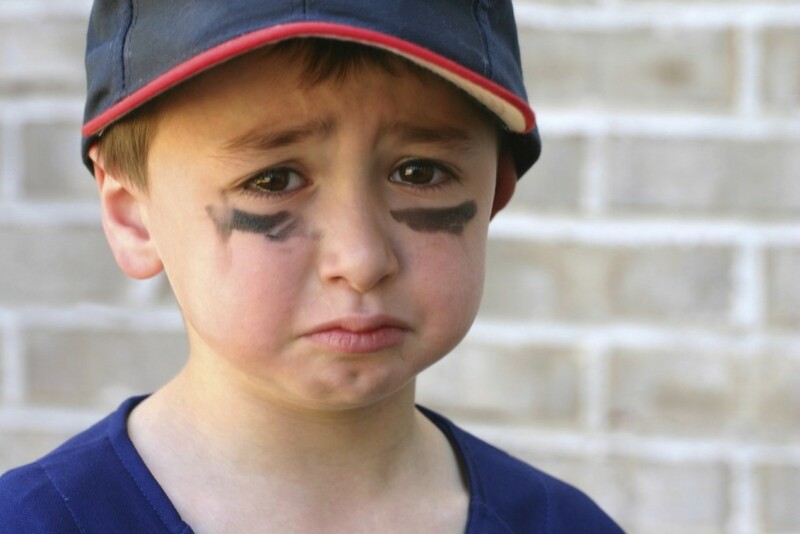 Even for stock art you find by searching “crying kid baseball,” this is pretty heartbreaking. Washington Post — The season ended, as seasons often do, before anyone was ready, in 2.5 seconds of heartbreaking blur. A surprise double play, shortstop to second to first, that was over before most of us realized it started, mostly because they don’t usually turn double plays in Little League. We didn’t even get the luxury of getting down to our last out. Everything broke the Cardinals’ way, and we were still in it for 5 and a third innings. A nail-biter for an hour and 49 minutes, and it’s over in a finger-snap. Baseball’ll break your heart. And though he’s not really a “sports kid” so much as a “books about dragons” kid, Little League brought out those feelings, tons of feelings, way too many feelings, not just in my son but basically everyone wearing a youth-sized Yankees hat. This, people, was the crying-est bunch of boys you ever saw. The full story at On Parenting by the Washington Post.